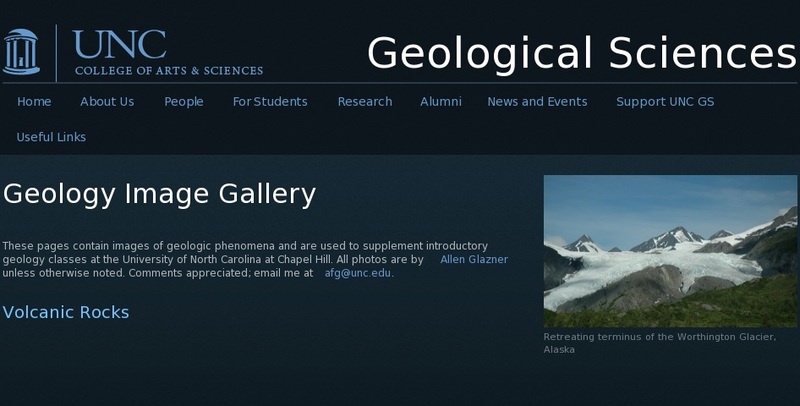 These images of geologic phenomena are used to supplement introductory geology classes at the University of North Carolina at Chapel Hill. The images are categorized under plutonic, volcanic and sedimentary rocks; structural geology; weathering; and coastlines. There are photographs of different kinds of volcanoes; lavas and pyroclastic rocks; volcanic hazards; different types of sedimentary rocks and sedimentary structures; folds and faults; beach processes; and barrier islands.